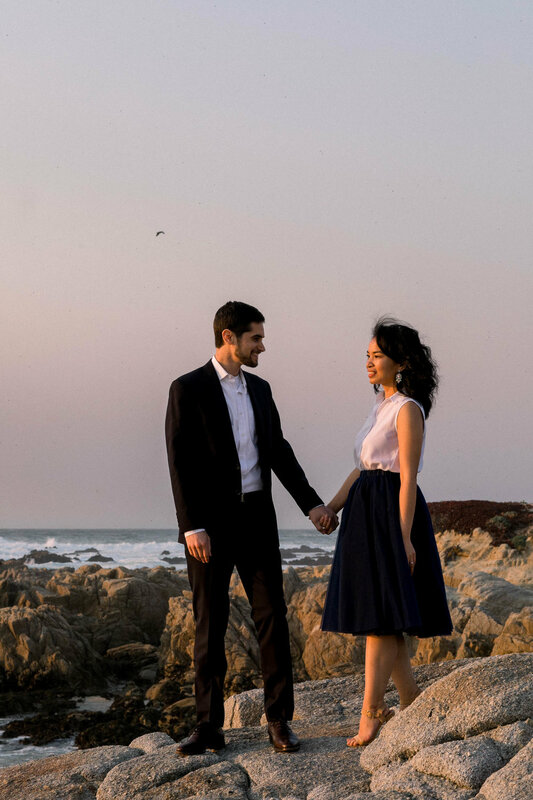 The Monterey area has always been special to Bianca and Sam, so they decided on an engagement session celebrating the beautiful coastline. Slightly smoky haze from valley fires made for a diffused autumn light and bold sunset. 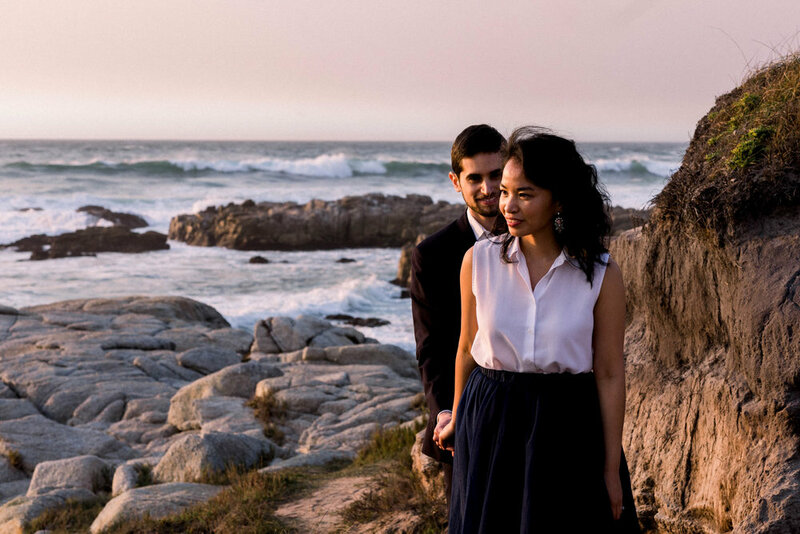 After seven year of long distance, the pair are back together in the Bay Area and planning a wedding at Stanford, where they met. 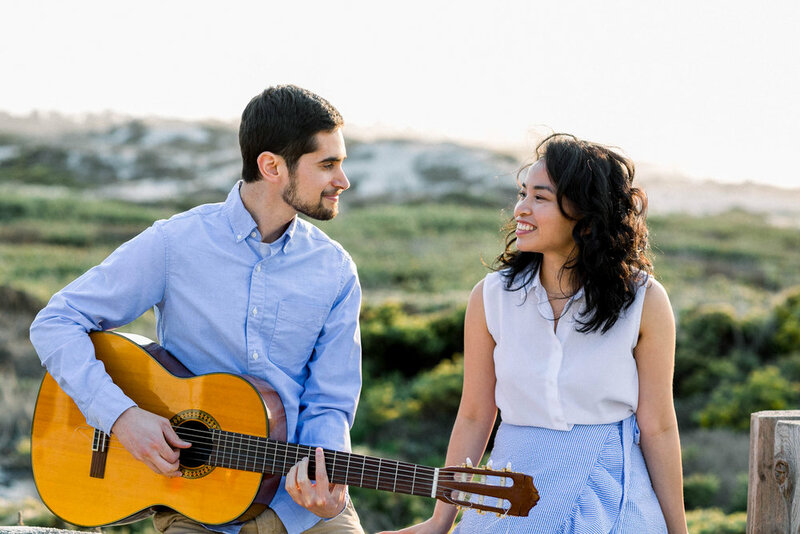 Their reception at Hidden Villa will include performance by both the bride and groom and blend their Mexican and Philippine heritage. Sam even brought out the guitar for a sneak peek!